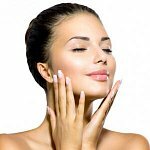 The Facial Solutions team offer non-surgical cosmetic treatments for men and women using the latest minimally invasive techniques. Each treatment is tailored to your specific needs in facial rejuvenation or enhancement and is delivered by fully qualified medical professionals. We offer free consultations where we can discuss your concerns and desired outcomes and explore the various treatment options available to you. Being medical professionals, we are fully aware of the anxieties you may have with regards to injectable treatments therefore we strive to make every treatment as safe and comfortable as possible. Our clinics are based in Glasgow, Guernsey, Leeds, Leicestershire, Northamptonshire and Bedfordshire.